Instantly downloadable sheet music by Sammy Cahn for voice and piano of MEDIUM skill level. Alle Notenausgaben von The September Of My Years zum Herunterladen bei VirtualSheetMusic. Instantly downloadable sheet music by Shaznay Lewis for voice and piano of MEDIUM skill level. Alle Notenausgaben von Never Ever zum Herunterladen bei VirtualSheetMusic. Alle Noten von Shaznay Lewis zum Herunterladen bei VirtualSheetMusic. Instantly downloadable sheet music by Stephen Sondheim for voice and piano of MEDIUM skill level. Alle Notenausgaben von Every Day A Little Death zum Herunterladen bei VirtualSheetMusic. Alle Notenausgaben von Move On zum Herunterladen bei VirtualSheetMusic. Alle Notenausgaben von To Feel A Woman`s Touch zum Herunterladen bei VirtualSheetMusic. Instantly downloadable sheet music by Stuart Gorrell for voice and piano of MEDIUM skill level. Instantly downloadable sheet music by The Beatles for voice and piano of MEDIUM skill level. Alle Notenausgaben von Lucy In The Sky With Diamonds zum Herunterladen bei VirtualSheetMusic. Instantly downloadable sheet music by Tim Rice for voice and piano of MEDIUM skill level. Instantly downloadable sheet music by Tony James for voice and piano of MEDIUM skill level. Alle Notenausgaben von Dancing With Myself zum Herunterladen bei VirtualSheetMusic. Alle Noten von Tony James zum Herunterladen bei VirtualSheetMusic. Instantly downloadable sheet music by Walter Becker for voice and piano of MEDIUM skill level. Instantly downloadable sheet music by Willie Nelson for voice and piano of MEDIUM skill level. Alle Notenausgaben von Los Pinguinos (Male Key) zum Herunterladen bei VirtualSheetMusic. Instantly downloadable sheet music by Amy Foster-Gillies for voice and piano of MEDIUM skill level. Alle Noten von Amy Foster-Gillies zum Herunterladen bei VirtualSheetMusic. Instantly downloadable sheet music by Anthony Newley for voice and piano of MEDIUM skill level. Alle Notenausgaben von Look At That Face zum Herunterladen bei VirtualSheetMusic. Instantly downloadable sheet music by Billy Joel for voice and piano of MEDIUM skill level. Instantly downloadable sheet music by Charles Strouse for voice and piano of MEDIUM skill level. Instantly downloadable sheet music by David Zippel for voice and piano of MEDIUM skill level. Alle Notenausgaben von Go The Distance zum Herunterladen bei VirtualSheetMusic. Alle Noten von David Zippel zum Herunterladen bei VirtualSheetMusic. Instantly downloadable sheet music by Dorothy Fields for voice and piano of MEDIUM skill level. Instantly downloadable sheet music by Edward Kleban for voice and piano of MEDIUM skill level. Alle Notenausgaben von The Music And The Mirror zum Herunterladen bei VirtualSheetMusic. Instantly downloadable sheet music by Faye Greenberg for voice and piano of MEDIUM skill level. 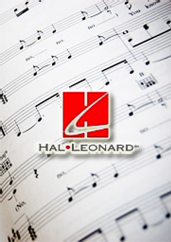 Alle Notenausgaben von I Lay My Armor Down zum Herunterladen bei VirtualSheetMusic. Instantly downloadable sheet music by Franz Schubert for voice and piano of MEDIUM skill level. Alle Notenausgaben von The Erl-King zum Herunterladen bei VirtualSheetMusic. Alle Notenausgaben von Pie Jesu (Blessed Jesu) zum Herunterladen bei VirtualSheetMusic. Alle Notenausgaben von Defying Gravity zum Herunterladen bei VirtualSheetMusic. Instantly downloadable sheet music by Harold Rome for voice and piano of MEDIUM skill level. Alle Notenausgaben von Shopping Around zum Herunterladen bei VirtualSheetMusic. Alle Noten von Harold Rome zum Herunterladen bei VirtualSheetMusic. Instantly downloadable sheet music by Irving Mills for voice and piano of MEDIUM skill level. Alle Notenausgaben von Being A Geek zum Herunterladen bei VirtualSheetMusic. Alle Notenausgaben von Nothing In Common zum Herunterladen bei VirtualSheetMusic.